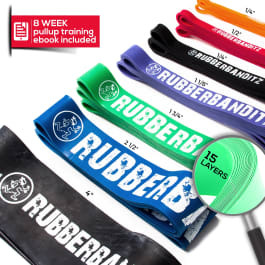 Stretch Your Limits: Stretch Bands to the Rescue! The concept of stretching and process of how to stretch correctly have become as dogmatic as what you eat. People will tell you there’s no need to stretch before or after a workout, others will tell you that using resistance bands for yoga is the path to take, and others will bark about Functional Range Conditioning or a practice of the like. It’s important to realize that ALL of these practices have their merits and can add something new and useful to your toolbox for relieving the tension in your muscles and body. It is also important to realize that everybody is different, so while some people might get everything out of pulling funny faces and using all their might to jump into a new range of motion, others may respond really well to soft angelic stretching, or no stretching at all. 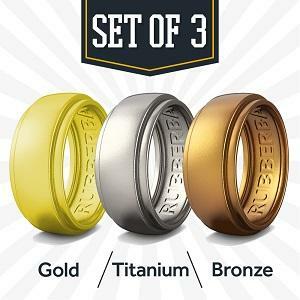 As a necessity or help in their chosen sport, hobby, exercise, workout, etc. I think while that is a little tongue-in-cheek, most people would see themselves in one of those categories. That being said, let’s clarify the nature of injury and pain. This will tell us whether stretching is really what we need, or whether we have talked ourselves into doing something we don’t necessarily need. An injury can be defined in a number of ways. This article is not about arguing the definition, but simply using one simple explanation for us to work with. When giving my clients information on injuries, I will always tell them to see an allied health professional, but will also tell them that an injury is easiest defined as when a bodily structure takes more load than it is capable of. The load could immediately be too much; for example, a torn ACL when quickly changing direction or landing, where the ligament is dealing with multiple times body weight acting on it in a way it is not strong enough to handle. Alternatively, the load can be a little higher than recovery capacity for a long period of time, leading to slower degenerations (think stress fractures in the feet of runners). Either way, there are a few things we can do in these situations. The first is the simplest and likely the most overlooked by people, especially in cases where there isn’t an immediate injury -- Reduce total load. In the case of the runner, this could be done a few ways. The easiest method is to reduce total mileage. Form changes (normally people’s first board of call) will alter how the load is expressed and could de-load the stressed area; however, people forget that they have spent a long time doing things one way and that a similar amount of time will be needed to move things in a different direction. With this in mind, should a person “stretch” in any given way? Well, the answer is deafening, “it depends”. Always ask yourself the question: am I reducing my load in doing this? If so, then the stretch is fine to do and could be useful if it increases your ability to tolerate the load slowly in future. This will mean that when you return, you are more capable of dealing with a greater load and there is a less likelihood that you will exceed your load capacity and be face-to-face with an injury. Now that we have covered the basics of an injury, let’s discuss pain. Pain is a little different and does not necessarily mean injury (another common misconception for people). Pain is a complex phenomenon and is, therefore, difficult to define. It generally recedes when a variety of inputs within the load capacity of a person are inputted. Moving in a variety of ways allows load capacity to grow in a variety of ways, the nervous system to recognize safety in areas it has not previously mapped, and allows for the possibility of lymphatic drainage; all of these play hand-in-hand when it comes to pain. 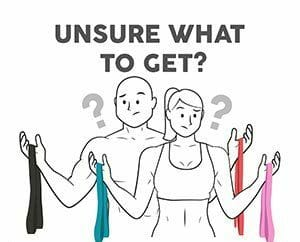 Now that we have a general idea of what both injury and pain are, let’s jump into our discussion of using resistance bands for stretching. If you want to add to your load capacity or increase your flexibility in ranges that your body is not comfortable with, this is how to do it. 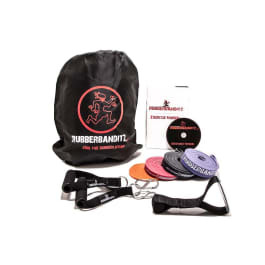 In reality, I would be using a broad range of resistance bands for stretching from the selection available here, as each of the stretching exercises will require bands of different strength. The easiest way to ensure you cover your bases when it comes to stretching is by looking at joints and what they do. Ankles: You can point and flex at your ankle. Knees: You can extend and flex at your knee. Hips: You can flex, extend, bring towards the middle of your body (adduct), bring away from the middle of the body (abduct). Spine: You can flex, extend, rotate, and flex (bend sideways). Shoulders: You can flex, extend, bring towards the middle of your body (adduct), bring away from the middle of the body (abduct). Elbow: You can extend and flex at your knee. Wrist: You can extend and flex at your wrist. With all of this in mind, let’s do band exercises that hit on as many of these in the shortest, and time efficient way as possible (because what good is stretching if we don’t make it easy enough to do it every day?). Another thing to keep in mind is that some of your structures may not have the load capacity to deal with some of these resistance band exercises right away, so you should consider talking to a professional before trying any of these (so as to ensure injury does not result). If you split this up into 2 separate days and worked on it regularly, it would not take more than 10 minutes a day, and you would be moving all of your joints in ways that you can improve on in terms of range and load capacity for your various muscle groups. If pain and injury exist, variety needs to be considered; otherwise, this is a great place to start your stretching exercises!